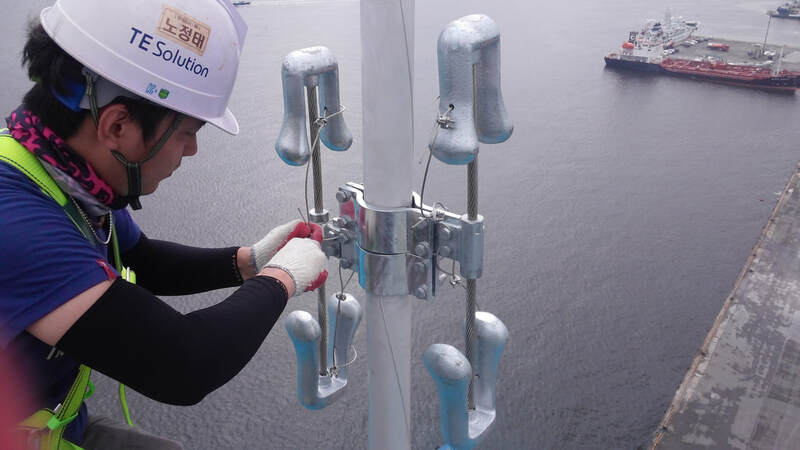 With accumulated R&D effort on top of the highest expertise in the field, TESolution has been providing tailored solutions of vibration control to various types of structures, including skyscrapers, long-span bridges, footbridges, cable cars, air traffic control towers, etc. Especially as the structures are becoming taller, lighter, and longer with the advancement of the construction technology, they are also becoming more vulnerable to vibrations induced by dynamic loads such as wind and traffic. 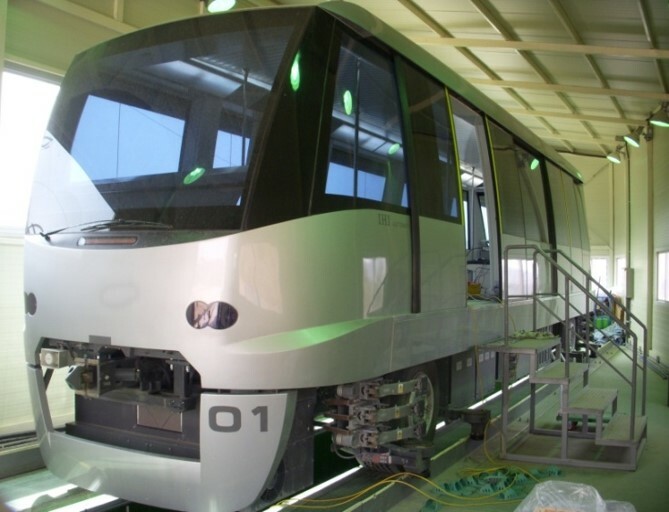 From the serviceability of skyscrapers, structural safety of bridges, to pedestrian comfort of footbridges, TESolution's vibration control technology (vibration control device or mass damper such as Tuned Mass Damper(TMD), Active Mass Damper(AMD), Hybrid Mass Damper(HMD)) can provide the solution to control vibration. ▶ For more information on various type of Mass Dampers, click the below button. ​Principle of Tuned Mass Damper(TMD) Technology, In essence, TMD effectively absorbs the vibration of the structure. TESolution's Double Pendulum(left) TMD make use of a shorter arm length to achieve a long natural period which can be ideal for applications in high-rise buildings with limited vertical installation space. 3D Model of TESolution Bidirectional Double Pendulum Tuned Mass Damper(TMD) in action. The development of construction has led to recent structures that are designed in slender figures, giving them high flexibility that are more affected by wind-induced vibration. If a structure is exposed to wind-induced vibration for a long period of time, it may not only negatively affect occupant comfort but may also cause structural instability. Moreover, vibration may be induced through various traffic loads. 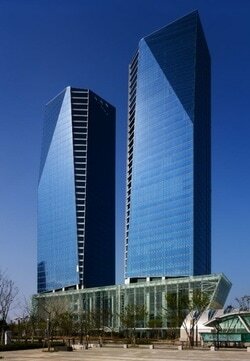 In many cities habitability of building is often hindered with vibration induced from train and automobile traffic. 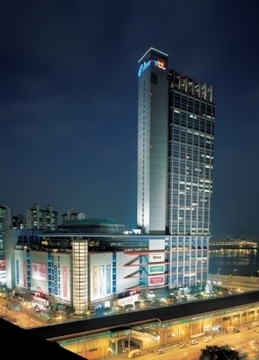 Vibration in high rise buildings, where many of them are used for residential or commercial purposes with residents living or working inside, is a nuisance that can greatly hinder the habitability. 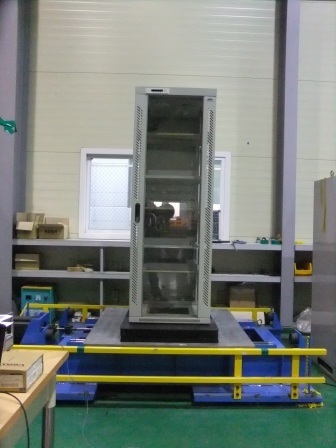 The International Organization for Standardization (ISO) and other organizations that provide structural guideline such as AIJ(Architectural Institute of Japan), and NBCC(National Building Code of Canada) have classified the magnitude of the vibration numerically with consideration on the type of vibration and the human perception to the vibration to recommend specific criterion for vibration level on the structure to satisfy. The objective of vibration control device or mass damper is to control the vibration on the building by dissipating the kinetic energy down to the standard level set by to ensure habitability and safety of the structure. 160Ton Tuned Mass Damper(TMD) installed on Posco E&C Head Quarter building in action during the storm event in Aug. 30th 2011. 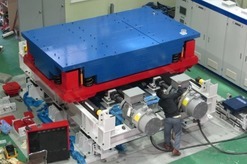 ​Hybrid Mass Damper(HMD) for testing before installation taking place at Techno Mart, Seoul. Long-span bridges, such as suspension bridges or cable-stayed bridges, are highly vulnerable to the wind loads with its low bending / momentum stiffness and low damping ratio. 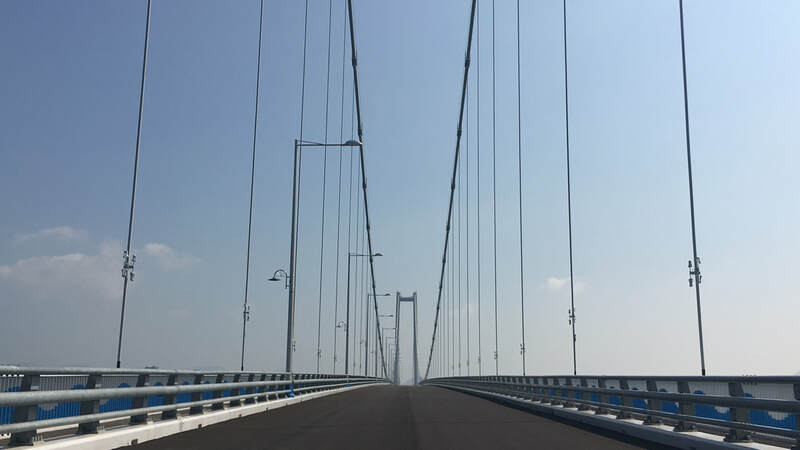 The internal pressure on the bridge may be different at each construction phase, and even when the internal pressure has been anticipated for in-service stage, the vibration may still occur at the construction phase. If such vibration is left alone, it may cause damages to the parts of the bridge. In case of footbridges, the vertical vibration induced by pedestrians may inflict the serviceability of the bridge, and may even cause structural damages if it’s severe enough. 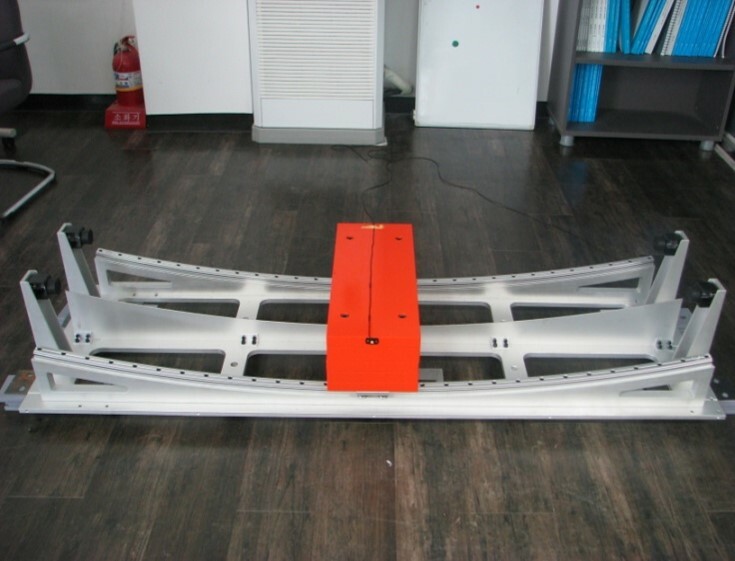 The Vibration Control Device is installed to increase wind resistance performance and damping performance to provide stability of the bridge. 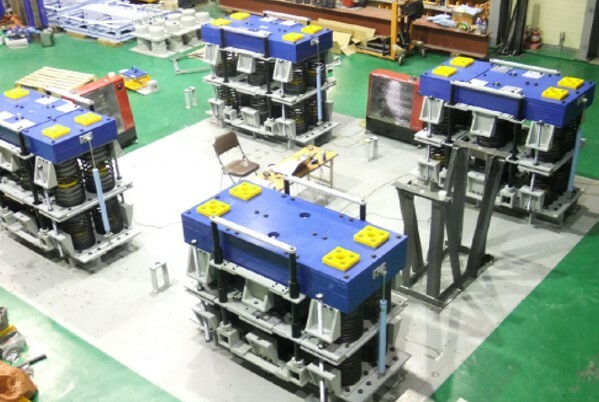 Our engineers are able to design and fabricate proper device to be installed either in construction or in-service phase to control vibration. ​Tuned Mass Damper(TMD) in action during the storm. 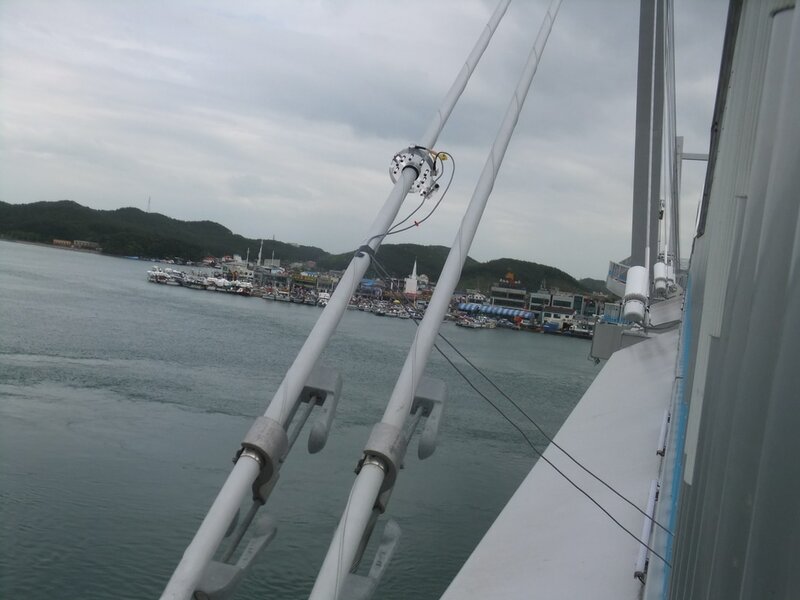 Tuned Mass Damper(TMD) for inspection before the installation taking place at Jindo Bridge. 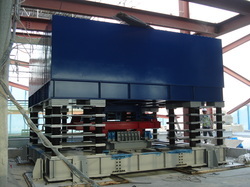 Tuned Mass Damper(TMD) after the installation under the bridge deck at Jindo Bridge. 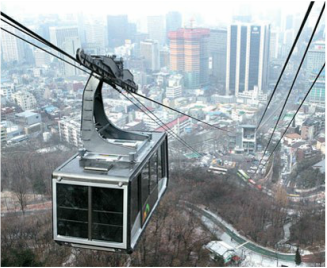 Flexible and tall structures such as, smoke stacks and steel towers, as well as the structures that are in the open to the wind loads such as cable cars, are highly vulnerable to the wind loads with their low damping characteristics and low natural resonant frequencies. The wind induced vibrations in these structures may cause stress and damage to the structures, and the residences may feel discomfort, while occupying these structures. The Vibration Control Device is installed in these structures to increase damping ability to resolve the stress that the structure may suffer otherwise, and to give residences the better comfort in occupying these structures. Stockbridge damper, currently most commonly used vibration damper for power line, can be designed to dissipate the input wind energy over a wide range of frequencies. ▶ For more information on Stock Dampers, click the below button. 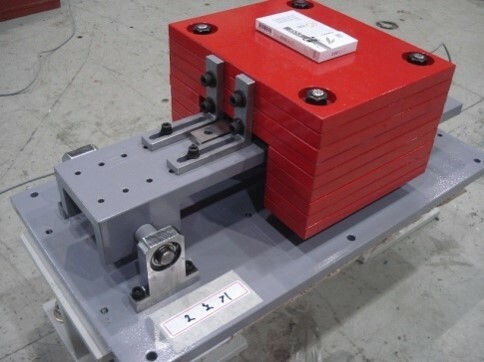 Stockbridge damper is not only much more cost efficient way of controlling cable vibration compared to traditional viscous dampers, but also is easier to install and its installation location can be easily adjusted to attain the maximum damping. 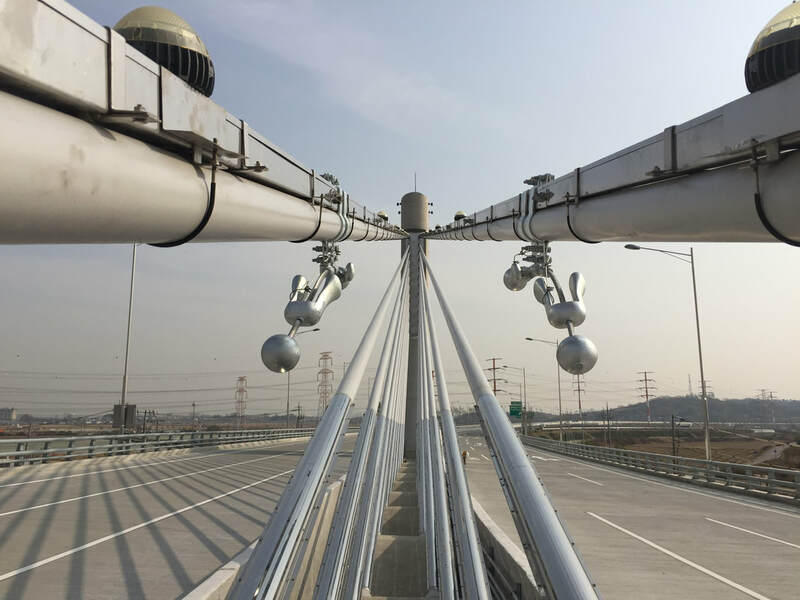 TESolution has technology and know-how in Stockbridge damper not only for suspension bridge, but also for cable-stayed bridge as well where it requires more careful control of low frequency modes. Stockbridge Damper being installed on a hanger cable of a suspension bridge. Once an earthquake strikes, not only the structures themselves are vulnerable to damages, but also the facilities and the fixtures inside. While number of countermeasures against earthquakes on structures have been developed, the safety measures on internal facilities have not been properly addressed. 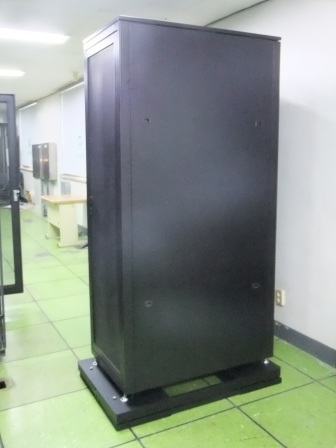 On Oct. 2009, the “Technical Standard Revision for Safety and Credibility of Telecommunication Facilities” by the National Radio Research Agency has come to an effect in Korea, and now vibration control is a necessity for many IDC Servers, wire / wireless telecommunication facilities, data storage facilities, and radio base centers. Also, in locations where valuable items are stored, such as museums, hospitals, and laboratories, the measures to keep them from damage from vibrations need to be in place. The Isolation Table System provides structural safety against overturning of the table, preventing in from damage induced by earthquakes.